The Lymphoma Research Foundation (LRF) – the nation’s largest non-profit organization devoted exclusively to funding innovative lymphoma research and serving the lymphoma community through a comprehensive series of education programs, outreach initiatives and patient services – hosted its Ninth Annual Luncheon in Boca Raton on Monday, February 2, 2015, raising over $ 140,000 for critical research programs and patient services. The event, which packed St. Andrews Country Club to capacity once again, treated attendees to an exclusive fashion show by Neiman Marcus Boca Raton, a pop up boutique and makeovers courtesy of Dior Beauty, and presentations from leading lymphoma expert Dr. Stephen D. Nimer, Director, Sylvester Comprehensive Cancer Center. 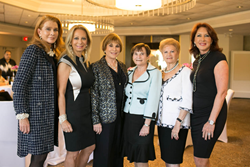 Neiman Marcus Boca Raton returned in 2015 as a partner to the South Florida Luncheon, helping to raise funds and awareness for the disease and the critical research programs supported by LRF. Each year, more than 5,000 Floridians are diagnosed with lymphoma – the most common form of blood cancer. The Luncheon has raised more than $ 1.2 million to-date in support of the Lymphoma Research Foundation’s mission to eradicate lymphoma and serve those touched by the disease. This year’s event was co-chaired by Judy Bronsteen, Gladys Cook, Toby Cooperman, Elisabeth Dalfen, Joan Hauser, and Mitzi Oreman, and was anchored by a keynote presentation from Dr. Stephen D. Nimer, Director, Sylvester Comprehensive Cancer Center. For additional information on LRF’s South Florida Luncheon, including photos from the event, visit our Luncheon Website. The Lymphoma Research Foundation (LRF) is the nation’s largest non-profit organization devoted to funding innovative research and serving the lymphoma community through a comprehensive series of education programs, outreach initiatives and patient services. To date, LRF has awarded more than $ 55 million in lymphoma-specific research. Neiman Marcus Boca Raton features the world’s finest fashions, accessories, precious and designer jewelry, exclusive beauty and cosmetics lines, collections for home and specialty gifts for men, women and children. For more than 107 years, the name Neiman Marcus has been synonymous with superior customer service and has evoked images of luxurious, high-quality apparel, world renowned designers and fun-filled gifts. Since its founding in 1907, Neiman Marcus has established a rich history of innovation and has developed a legacy of pioneering retail concepts. Today scientists with the Weed Science Society of America (WSSA) joined with the American Phytopathological Society (APS) and the Entomological Society of America (ESA) to recognize the 50-year anniversary of the national Land-Grant University Pesticide Safety Education Program. Although the program has evolved over the past 50 years, it remains the focal point for pesticide safety education throughout the United States. The Pesticide Safety Education Program (PSEP) had its genesis in 1964 to enhance pesticide label compliance and to develop the first training manuals. In the early years, the program was under the direction of each Land-Grant University’s Cooperative Extension Program and was supported by the U.S. Department of Agriculture (USDA). In 1970, USDA passed the safe-use education torch to the newly created U.S. Environmental Protection Agency (EPA), which concentrated especially on safety issues on the farm and in other occupations. In 1978, EPA classified the first 12 restricted-use pesticides (RUPs). Applicators were required to demonstrate competency to apply RUPs, and Pesticide Applicator Training (as PSEP was then called) served as the primary developer and deliverer to inform and educate on safe pesticide use. The reach of the Pesticide Safety Education Program has expanded greatly over the years. There are many more RUPs, and many states now require whole categories of users to be certified, even if they do not apply RUPs. Examples include certification of hired applicators, public employees and those treating schools or aquatic environments. In fact, an estimated 40% of certified applicators in the U.S. today do not apply RUPs. Though it once focused predominantly on the education of applicators controlling agricultural pests, PSEP now teaches applicators working in urban, natural, industrial and other settings. It provides training to those who control weeds, insects, disease-causing organisms, rodents and other pests in forests, structures, turf, ornamentals, rights-of-way, aquatic areas, and other important and sometimes unique “sites.” These include food manufacturing and processing establishments, interior plantscapes, pet grooming, pools, public health, seed treatment, sewers, water sanitation, wood preservation and more. In addition, PSEP impacts more than one million pesticide users in the general public who apply pesticides in their homes and on their lawns, gardens, ornamentals and pets. Last year, approximately 900,000 certified applicators in the U.S. applied pesticides or supervised their use. Many more individuals who did not require certification sold, transported, stored, mixed, applied, disposed or were otherwise involved in the life-cycle management of pesticides. To reach all these audiences, PSEP and its not-for-profit partners provided in-person and on-line training sessions, distance education, manuals, brochures, presentations and videos. Today you can surf the web for pesticide safety education in any state to locate resources developed by PSEP. These resources promote safe handling of pesticides and protection of applicators, workers, the general public, beneficial organisms and the environment. Everyone benefits from a strong national Pesticide Safety Education Program – the general public, the registrants whose products’ availability depends on safe use, the applicators who must be competent in the safe use of pesticides, the expanded network of trainers educated by PSEP and the regulatory agencies that enforce the law. 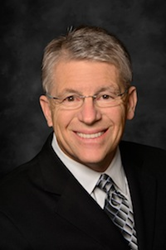 The recognition this program deserves is often muted, due to the increasing number of organizations and initiatives that erroneously equate pesticide safety education with promoting pesticide use. On its 50th anniversary, the WSSA, APS and ESA salute the Pesticide Safety Education Program in the Land-Grant Universities and in the territories for its many efforts to protect human health and the environment, as society continues its ongoing battle against pests. The Entomological Society of America (ESA) is the largest organization in the world serving the professional and scientific needs of entomologists and people in related disciplines. Founded in 1889, ESA today has more than 6,000 members affiliated with educational institutions, health agencies, private industry and government. Members are researchers, teachers, extension service personnel, administrators, marketing representatives, research technicians, consultants, students and hobbyists. For more information, visit http://www.entsoc.org.